Whenever Paul Robertson and his Fishing for Muscular Dystrophy (FFMD) team pull into a truck stop, they know it might be a while before they are able to leave. Although there to pump fuel, the caravan of trucks and boats adorned with the FFMD and MDA logos are such a big hit with fellow motorists that people inevitably come up to them and start a conversation. This is precisely the type of buzz Paul hoped to receive with the caravan. In addition to building brand awareness for the FFMD organization and for MDA, it also serves as a way to raise the profile of neuromuscular disease across the country. Paul believes, however, that this is just the tip of the iceberg for what FFMD can achieve in the future. In just two short years, Paul has taken what was once a distant dream of his and turned it into reality. In fact, FFMD — which has a strategic alliance with MDA — has become more than he ever could have dreamed. 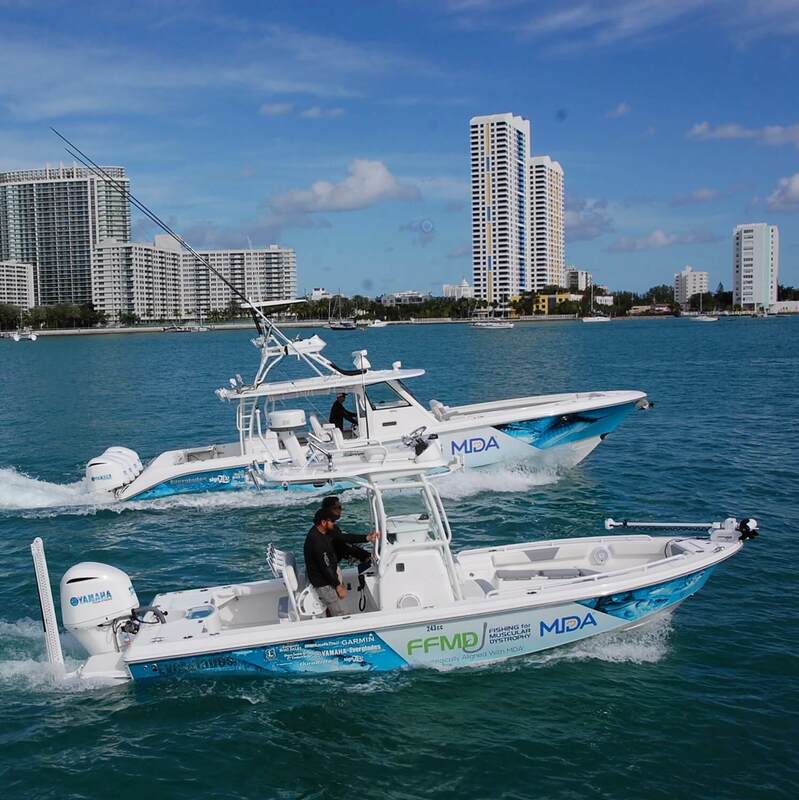 “When we started FFMD, we wanted to emulate the NASCAR model and have large corporations put their logos on the side of our boat as we fish in tournaments” Paul says. “But we’ve adapted that model over time, and it’s grown into so much more.” Today the organization has expanded beyond competing in fishing tournaments. FFMD also raffles off boats, helps to put on Muscle Team galas, sells merchandise and is involved in several other initiatives that raise money and awareness for neuromuscular disease. Paul has a clear vision for FFMD’s future impact. Paul’s commitment to MDA is a personal one — the 50-year-old has lived with the effects of limb-girdle muscular dystrophy type 2J (LGMD2J) for many years, experiencing progressive muscle weakness over time. Today, Paul uses a cane on occasion and has to find creative ways to get in and out of his boat. Despite his best efforts, Paul deals with falls on occasion. The day after Christmas last year, Paul fell at home and broke his pelvis, but he was determined to heal so he could get back in the captain’s chair as soon as possible. 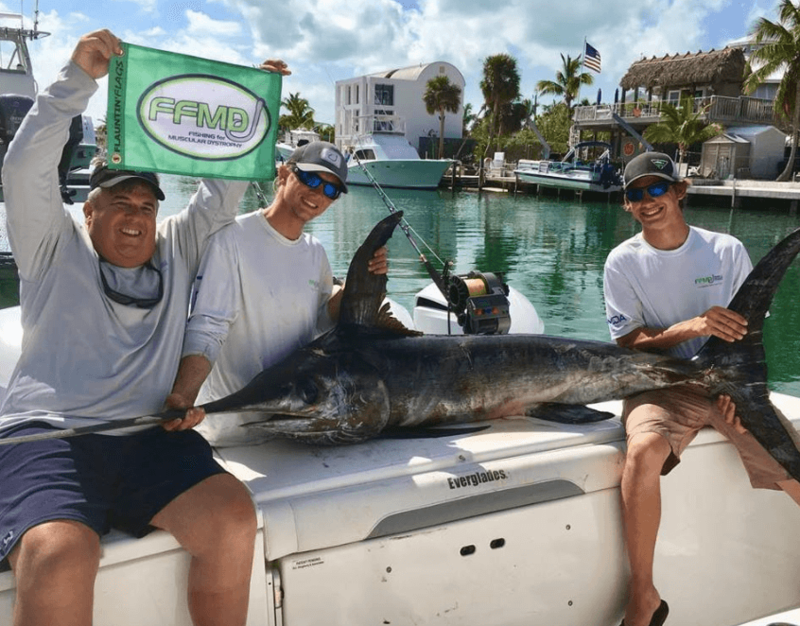 At its core, FFMD is a fishing team that competes in offshore fishing tournaments throughout the country, on a boat proudly adorned with the FFMD and MDA logos. 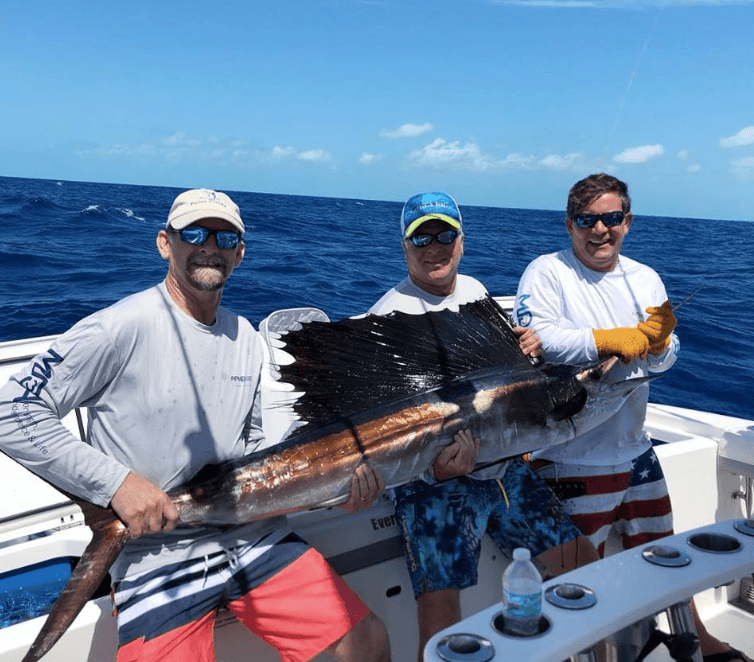 The team, which consists of Paul as the captain along with six to eight anglers, has competed in more than 50 tournaments in the last two years and has reached the podium to collect winnings 12 times, winning as much as $41,000 in a single tournament. A share of the proceeds benefits MDA. Ever the competitor, Paul believes the team is not far away from winning these tournaments. “I like to say that we are one fish away from hitting the big six-to-seven figure paydays,” Paul says with a laugh. Another source of revenue for FFMD has been a boat raffle. Last year, the raffle raised $200,000 in gross proceeds through ticket sales at events, boat shows and through online purchases. Although the proceeds benefit MDA, the raffle is run entirely by Paul and the FFMD team. The 24-foot boat was generously discounted by manufacturer Everglades Boats, who has been a loyal supporter of FFMD over the years. Everglades also built and donated a significant portion of the boat the FFMD team uses in tournaments. Paul has also made a significant impact on land, too. For the last two years he has co-chaired the Washington, D.C.-area MDA Muscle Team Gala, with friends, FFMD team members and employees from his personal company playing a major role in helping to make the fundraiser a rousing success. In two years the gala has raised more than $900,000 in gross proceeds, and at last year’s event they raffled off a boat to one lucky winner. 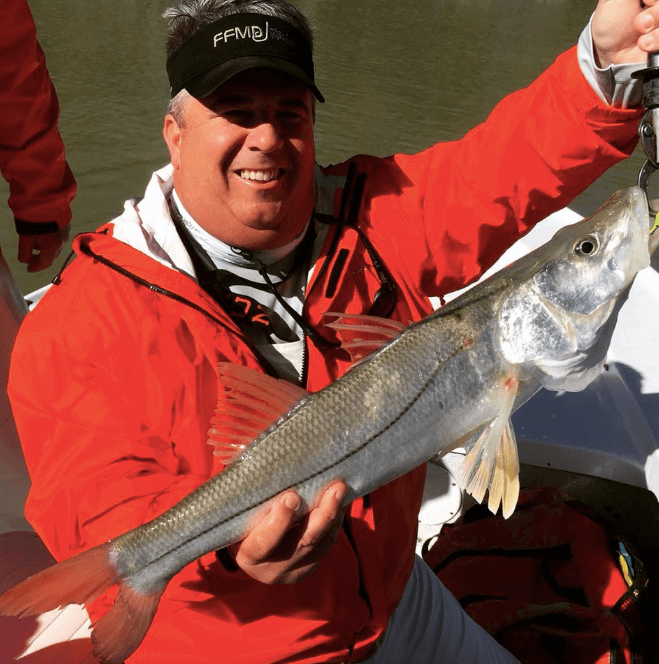 In a short period of time, FFMD has made a name for itself in the fishing community. Paul has quickly capitalized on this opportunity. As they travel from event to event, the FFMD team transports the boats on the back of a trailer, building awareness and buzz even on the highway. Although the caravan has been photographed nonstop by passersby and has amassed more than 20,000 followers on social media, Paul is most amazed by the national reach achieved by their T-shirts. Looking forward into 2019 and beyond, Paul sees more FFMD can do. Paul hopes to extend FFMD’s reach to other areas of the country. He has plans to host several galas in other cities that emulate the successful model of the D.C. gala. 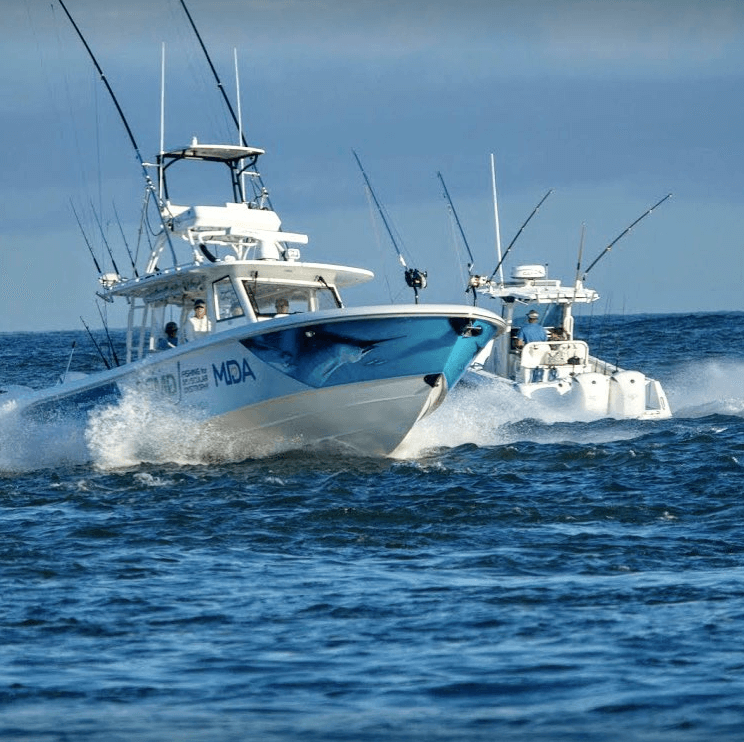 In addition, this year the FFMD team is raffling off another Everglades boat and has built relationships with other large sponsors, including Yamaha and Garmin. “Helping bring in these other corporate partners who were never engaged with or thought about muscular dystrophy is a big win for us,” Paul says. Although FFMD has been successful in fundraising and is building awareness throughout the country, Paul is most passionate about how the organization has made a positive impact on children and families living with muscular dystrophy. Paul has also brought kids out onto the FFMD boat and has grown close to several families who have attended fishing tournaments. Learn more about FFMD and where the team’s headed at http://www.fishingformd.com/.